For the fourth year in a row, we’ve analyzed a large set of adoption, growth, and success metrics for the Node.js project. 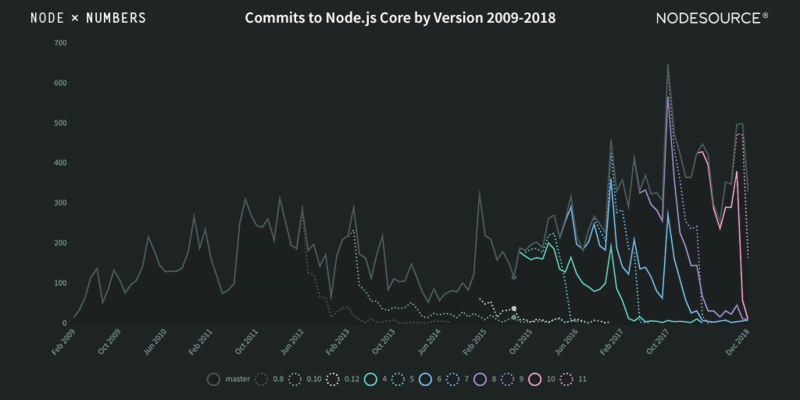 The annual numbers tell the story of continued evolution of the Node.js project. By all measures, 2017 was a fantastic year for Node.js - and 2018 was even better. Metrics across the board show growth and expansion of the platform. 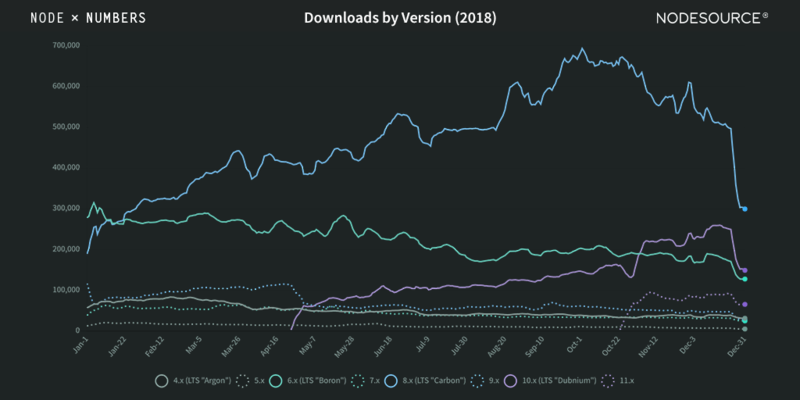 Node.js 8.x "Carbon" LTS surpassed 6.x "Boron" in popularity early in the year, with success propelled by much-wanted features like Async hooks, an upgrade to V8, and an expanded suite of tools and new features in core. 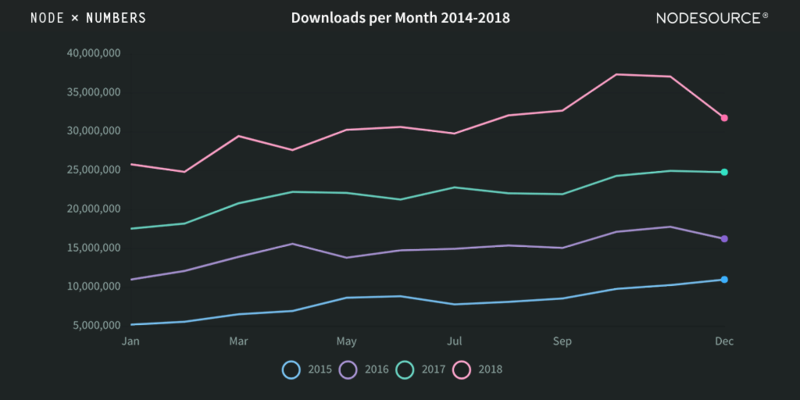 Downloads of the 10.x "Dubnium" release line, which became the active LTS version in April of 2018, grew steadily through the remainder of the year. Downloads of the 6.x "Boron" series declined steadily throughout the year—an encouraging trend, as maintenance support for Boron is scheduled to end this April. How do this year's numbers stack up? Nearly 600 people contributed to the Node.js project for the first time ever in 2018, with an impressive 230 unique core contributors in October alone. Each year we analyze git and GitHub activity for the Node.js project. 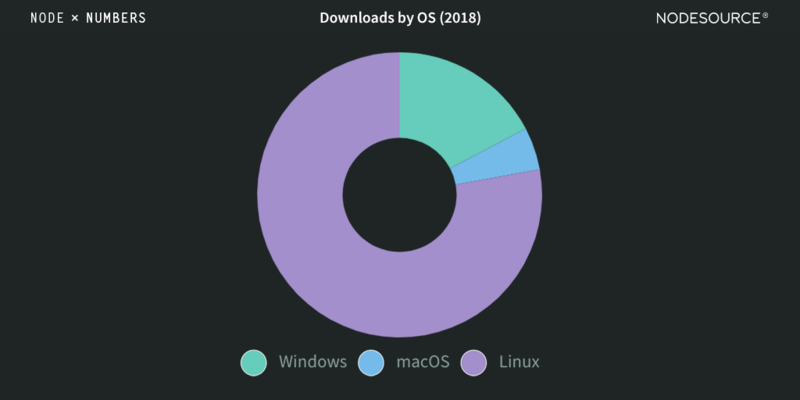 While 2017 is still the top year for net new contributors, the Node.js project has an impressive participation record, with an average of more than 100 unique contributors per month in 2018.